Nano Energy, 2016, 30, 187–192. First published online 28 Sep 2016. Zinc oxide was one of the first semiconductors used in dye-sensitized solar cells but its instability in aqueous media precludes its use for large-scale applications. Herein, we report on a novel ZnO nanocrystal material derived by an organometallic approach that is simultaneously stable and soluble in water due to its carboxylate oligoethylene glycol shell strongly anchored to the inorganic core by the head groups. 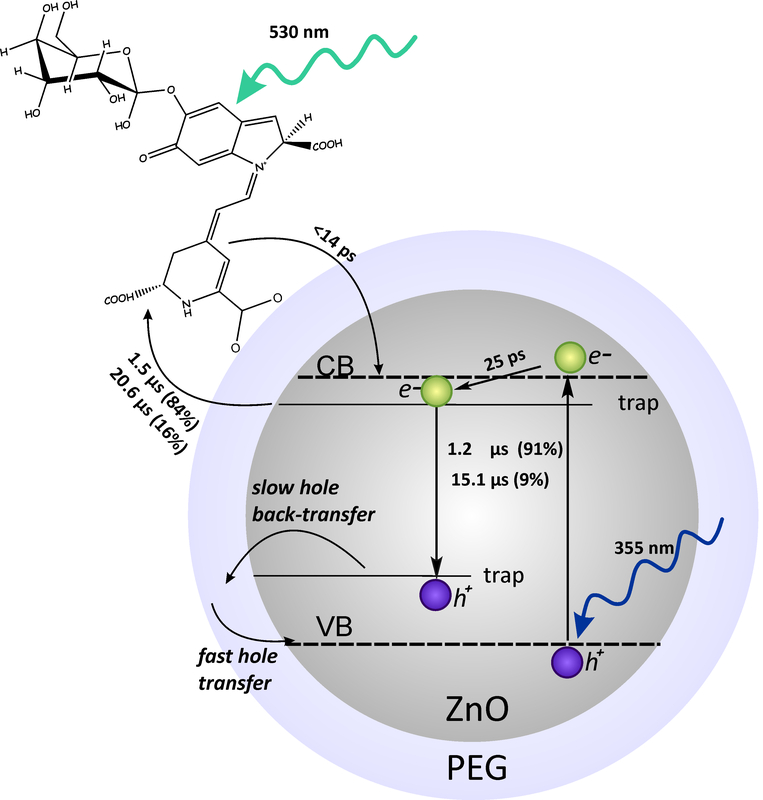 The resulting unique inorganic core-organic shell interface also stabilizes the photo-generated hole, leading to a dramatic slowing down of charge recombination, which otherwise is a major hurdle in using nanostructured ZnO.